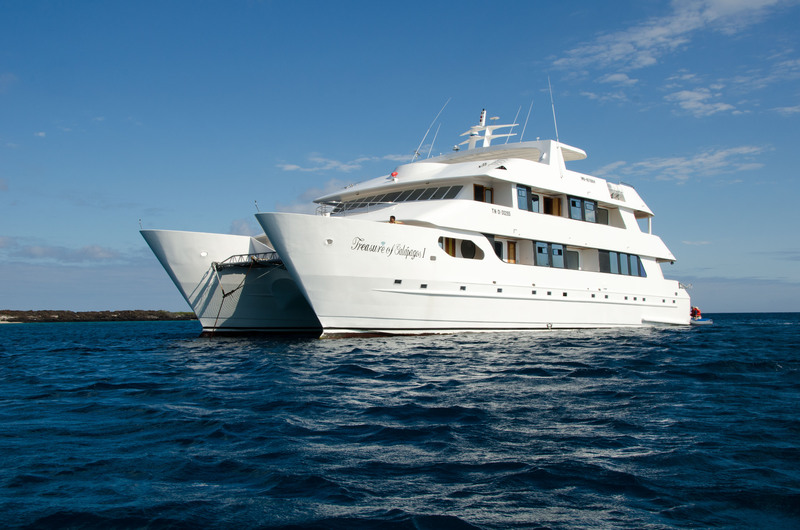 Taking a cruise around the Galapagos Islands is one of the world’s greatest travel journeys. 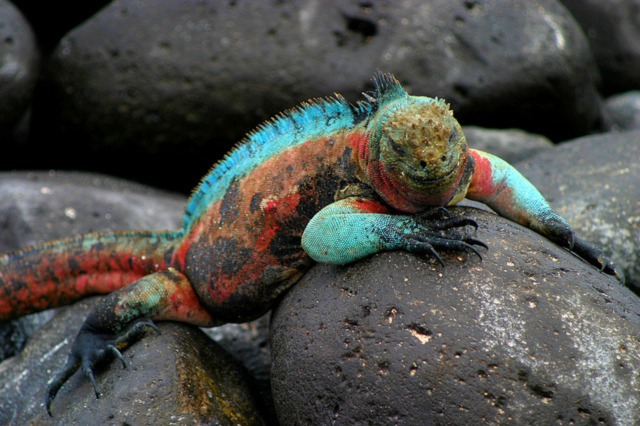 The Galapagos Islands are totally unique, unlike anywhere else on Earth due to their abundant wildlife, natural beauty. There’s a huge variety of vessels, destinations and activities to choose from, and a travel professional will offer the best advice of what’s best for you. 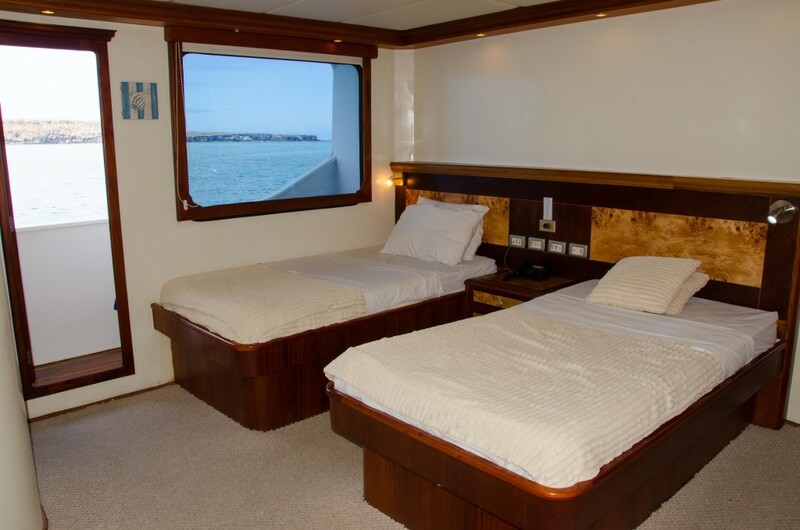 Typical cruises range from 3-6 nights on small luxury vessels for up to 16 passengers. There are larger vessels cruising the islands accommodating up to 150 passengers which are more stable and recommended for people who tend to suffer from motion sickness. Our favorite style is the smaller, intimate 16 passenger style vessel. Many are catamarans and these in particular are very stable. 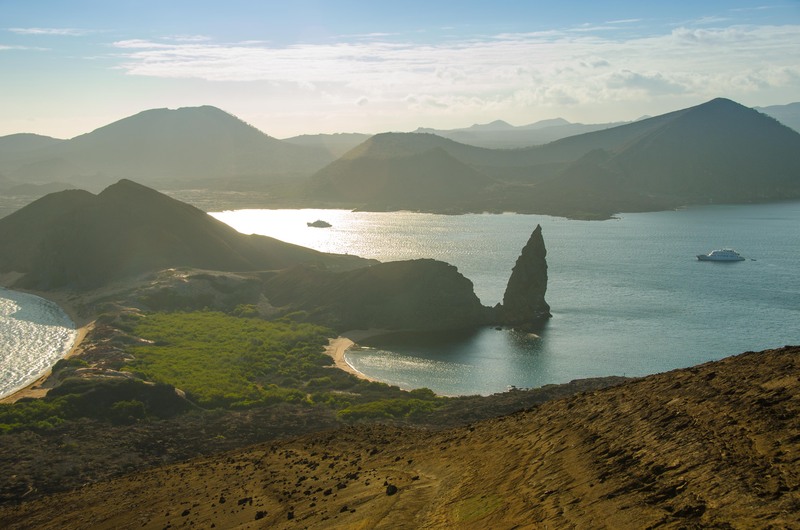 Laws put in place to protect the natural environment of the Galapagos Islands allow only up to 16 people plus authorized guides to land on any island location at any one time, so most vessels hold only this number of passengers. This makes for a very private feeling, intimate cruise experience, a complete polar opposite to the mass tourism style Caribbean or Mediterranean cruises that have become so popular in recent years. A 4 night / 5 day itinerary is the most popular option, covering the central island of the Galapagos and seeing a wide variety of natural beauty and wildlife. After the two hour flight from Quito, you’ll arrive at Baltra Airport where you’ll be welcomed by a representative of your cruise. A short drive will take you to the dock from where you’ll board inflatable 8-passenger ‘zodiacs’ which will transfer you to the vessel. 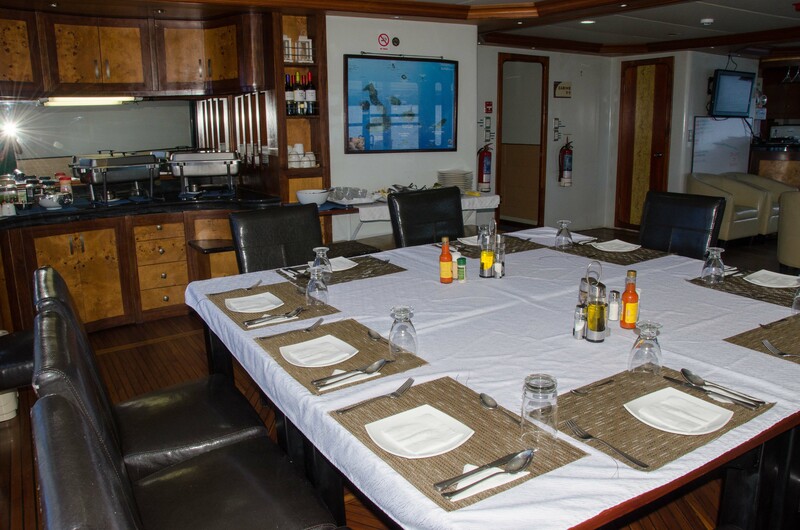 Following a welcome aboard cocktail you’ll have the opportunity to familiarize yourself with the boat while the crew prepares lunch. After enjoying your first lunch on board you’ll transfer back to the port to board a private bus for the 45 minute drive to the island’s main town of Puerto Ayora. 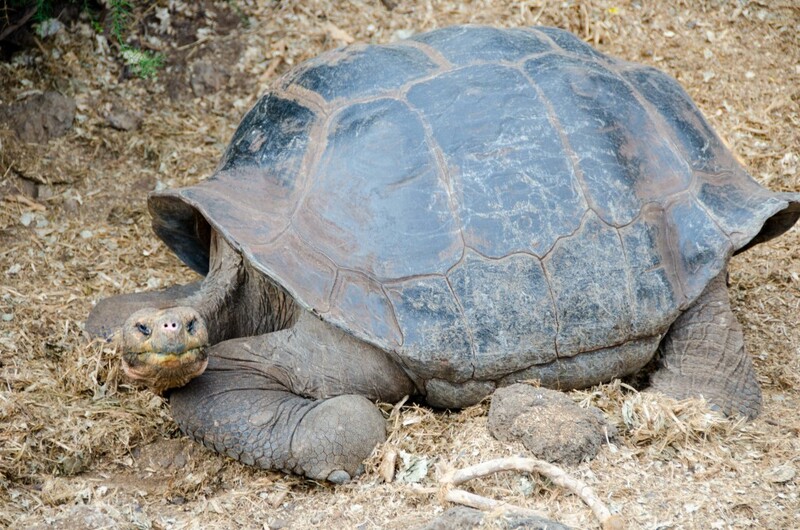 Here you will enjoy a guided tour of the fascinating Charles Darwin Research Station one of the few places on Earth where you can see the giant Galapagos land tortoise up close, giving you your first real taste of what you came to the Galapagos for – the region’s spectacular wildlife. You’ll have some free time to go shopping before returning to the boat for dinner. Each evening after dinner while the boat is traveling to the next island, you’ll be given a naturalist briefing about what to expect during the following day’s island visits. Your on-board naturalists are a wealth of information and are very passionate about the conservation efforts of the islands. They’ll show you maps, videos photos and detailed information about the flora, fauna and geography of the region. Enjoy a cocktail in the bar after your briefing, or go up to the top deck for some stargazing in the clear, light pollution free skies. A site of great geological interest, Sullivan Bay is on the southern shore of the island of Santiago. There is a trail of approximately one mile in length that passes by various types of lava, including the Pahoehoe type (a solidified wavy lava), as well as a much younger Sullivan lava. You’ll see a lot of brightly colored crabs as well as a variety of bird life here. Returning to the boat, lunch is served as you travel an hour to the neighboring island of Bartolomé. Here you will see more interesting lava formations before ascending a wooden staircase to a viewpoint at the top of the island. Views from here are spectacular and may be familiar as scenes from the movie ‘Master and Commander’ starring Russel Crowe were filmed here. This evening, enjoy a sunset cocktail or a dip in the jacuzzi as the boat travels on to the next island. Typically you will visit two island locations every day with the boat traveling in the middle of the day while you’re having lunch on board as well as during the late evening, usually arriving at the next island in the early hours of the morning. You’ll see an incredible variety of wildlife today. 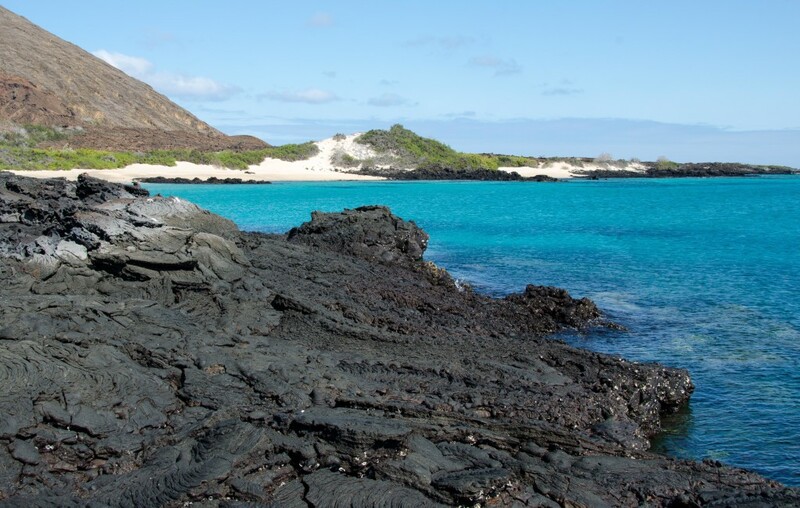 On North Seymour Island you’ll see lava lizards (the world’s only amphibious lizard), land iguanas and sea lions up close and in large numbers, as well as countless birds including terns, gulls, frigate birds and the islands’ most famous bird, the blue-footed booby. You will be astounded at the sheer number and variety of wildlife you’ll see. The amazing thing about Galapagos wildlife is that the animals have no fear whatsoever of humans as the region has been a protected area for so long that they have learned that humans are not a threat. On many islands you’ll actually have to watch where you’re walking so you don’t accidentally step on any animals. This afternoon you will visit Mosquera, where there’s a great beach that’s home to one of the largest populations of sea lions in the islands. Here you’ll be able to enjoy the unforgettable experience of be able to swimming amongst the sea lions in their natural habitat. This island if full of life. 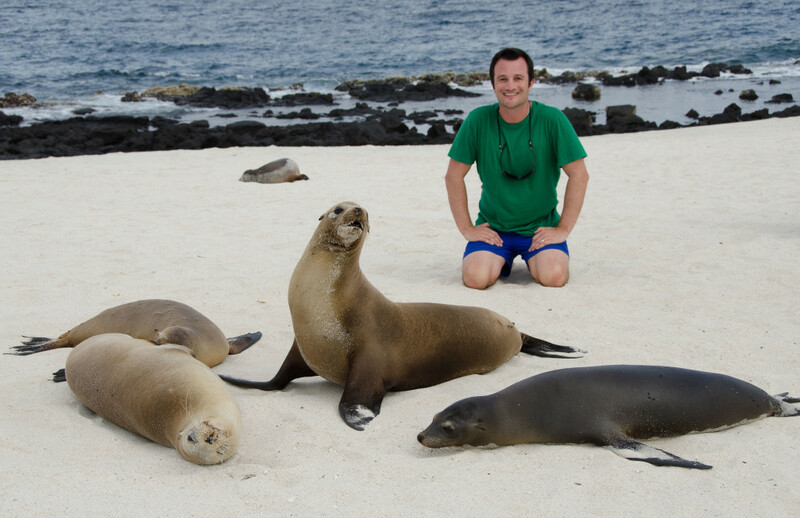 On your guided walk this morning, you’ll see many colonies of sea lions and land iguanas. As you ascend the gradually rising terrain you’ll see more birds including fork-tailed seagulls, Nazca boobies, magnificent frigate birds, blue-footed boobies and other shore birds. When you reach the highest point on the island you’ll find some steep cliffs that are home to large colonies of birds, with the sky filled with flying, squawking bird life. Returning to the boat, you will travel to the island of San Cristóbal, one of only three inhabited islands in the Galapagos. The town of Puerto Baquerizo Moreno is here and after dinner on board you’ll have the opportunity to go into town to do a little shopping or visit one of the local bars for an end of cruise social gathering with your fellow passengers. 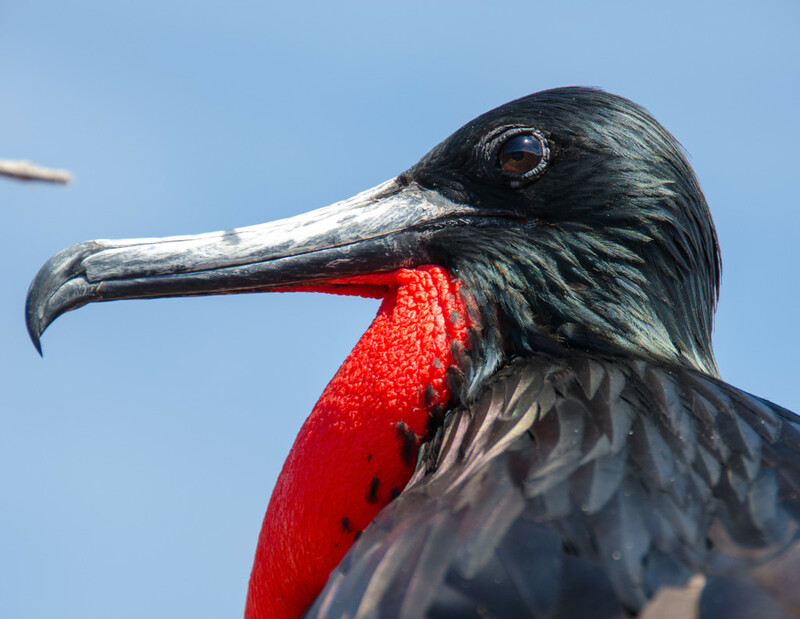 Before your flight back to Quito a visit to the Galapagos Interpretation Center is undertaken where you will learn all about the fascinating history and ecology of the islands. Boarding your flight, you’ll wish you’d booked a longer cruise – there’s so much more to see here! 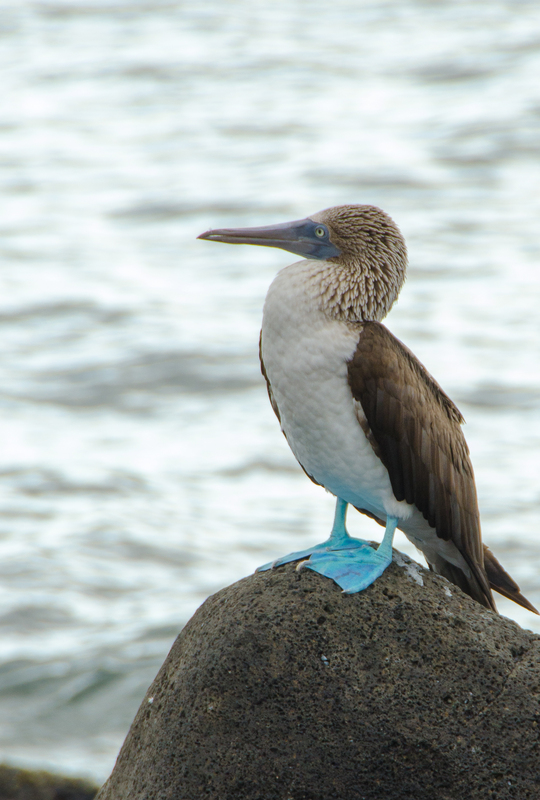 A Galapagos cruise is one of the most unique and unforgettable vacations you can take anywhere in the world. 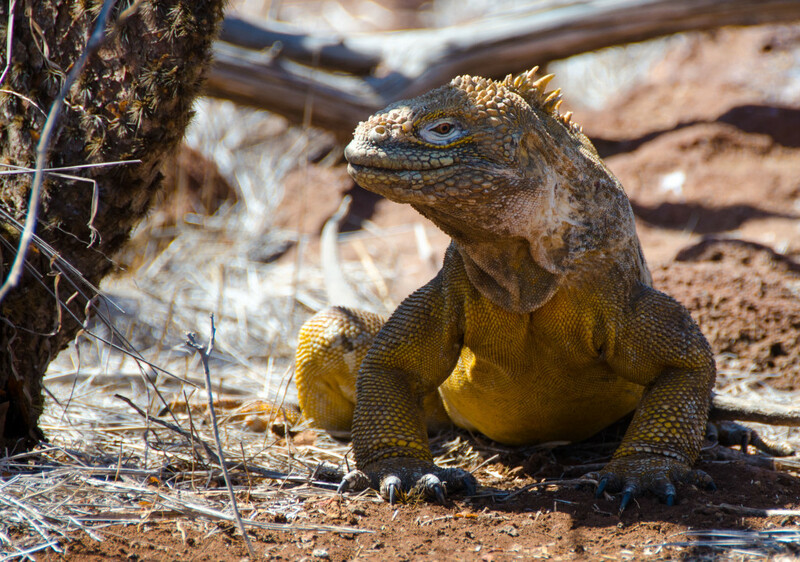 For more information contact one of our travel professionals to see how we can create the perfect Galapagos itinerary for you.